Whether you love it or loathe it, Black Friday isn't going anywhere. The huge post-Thanksgiving bargain bonanza is arguably the most lucrative day of the year for most big box stores, and this year at least a couple of them are hoping to cash in on the shopping mania earlier than ever. Case in point, Walmart, which just announced a lineup of deals that are available right now on its website. These deals will only last until the end of Thursday, November 8, but there will be a much bigger smorgasbord of bargains available in-store and online in just a just a couple weeks. The first Black Friday deals, which you can preview here, will launch online at 10pm on November 21. 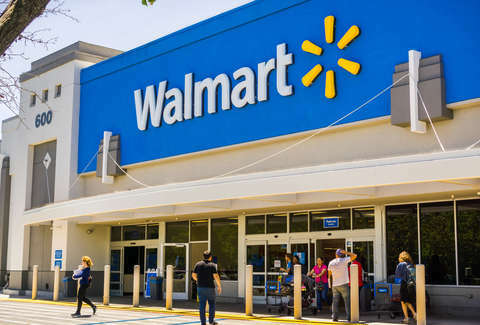 The in-store sale kicks off at 6pm on Thanksgiving Day (November 22), though Walmart is going to be hosting a special pre-sale "party" for customers in its stores from 4-6pm and will be giving away four million cups of coffee and nearly two million free Christmas cookies. Hopefully, your Black Friday shopping fund will be well-nourished then, too.